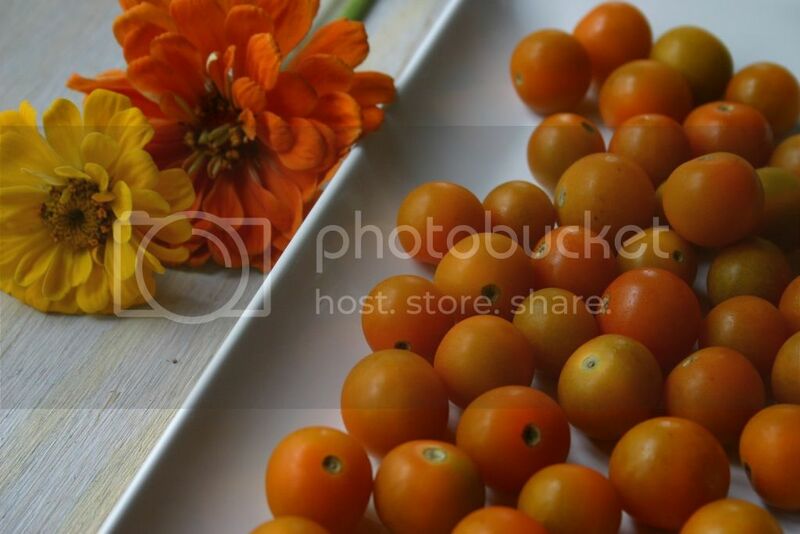 Have you ever tried Sun Gold Cherry Tomatoes..? They have a beautiful golden color similar to sunshine and make just about any dish light up from their brightness. One of my closest friends is a farmer.. and on his farmer you can find these golden jewels nestled in lushes green plants. There are also heirloom tomatoes and goat named Ellie who is slightly temperamental. I had some lovely photos of this but me being me.. as in a tad bit all over the place.. hit delete “all” on my camera when I really just wanted to delete the one photo I was looking at. Sigh… y’all pray for me. 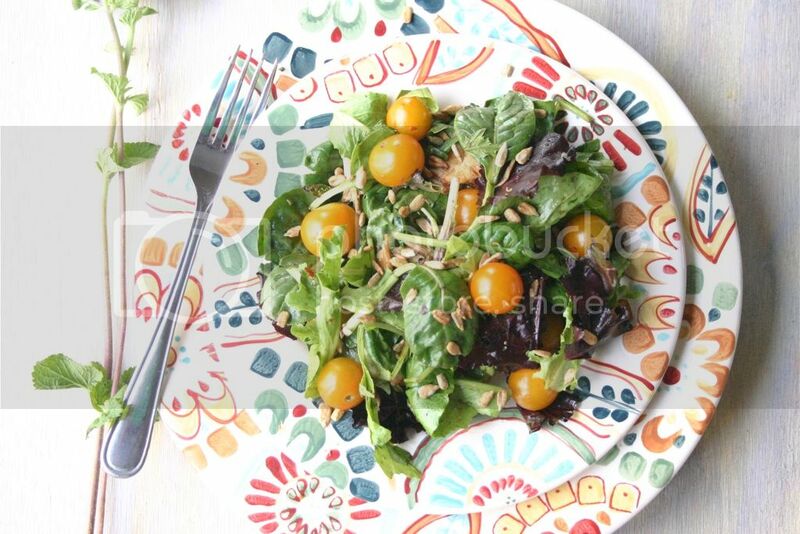 With my bundles of Sun Golds some toasted sunflower seeds and a little bit of baby greens, this salad came to life. 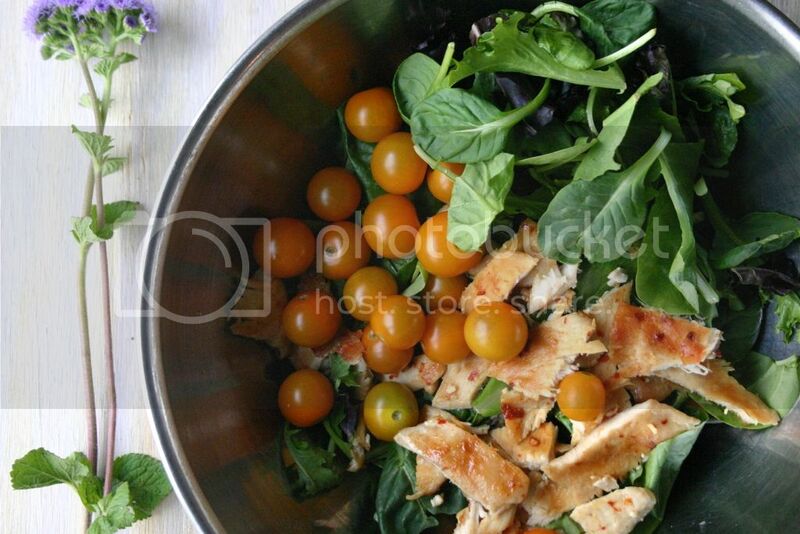 Shining brightly on a summer day, my side kick and I (my daughter) sat down outside and enjoyed this salad with some fresh squeezed lemonade. Luckily the Atlanta weather was kind to us that day and it was only about 80 degrees rather than the 105 that is has been. Coarse salt & fresh ground black pepper to taste. 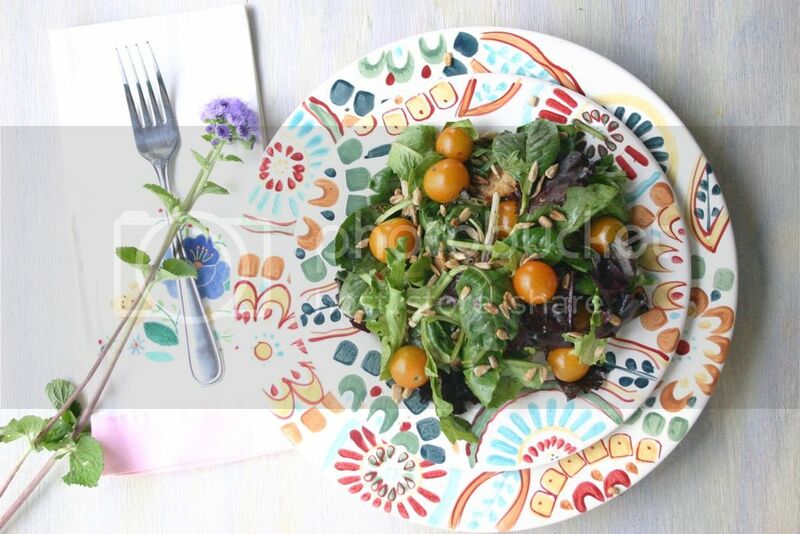 Now all you need is a glass of lemonade and a nice spot to sit in the shade while you enjoy this salad and some sunshine.